Recycling is an activity which has been a part of human societies practically since history has been recorded, and there is evidence of recycling going back to Byzantine times, and even much earlier according to some studies. Archaeologists have deduced over time that recycling activities increase during times of distress or scarcity, and this observation can still be seen and validated today as recycling activities have been less than consistent in the post-World War II era of disposable consumerism which continues to thrive to this day. As this article is being written, recycling and waste diversion rates stand at just shy of 35%, according to the United States Environmental Protection Agency. Despite the best efforts to increase waste diversion rates in America by the U.S. EPA, along with various States and Municipalities, and millions of citizen volunteers, the recycling industry faces enormous challenges in 2018 and moving forward. Over the course of the last 20-30 years, the recycling industries in America, Canada, Europe, Australia and South Korea have all come to rely upon China to take their recyclables – and the growing economy in China found a use for these materials, and the recycling industries in each of the other countries evolved to depend on China. However, the Chinese government has recognized that there have been detrimental environmental impacts associated with accepting all recyclables, and a result they have embarked upon what is being referred to as the National Sword Policy, which seeks to ban “foreign garbage” from the Chinese mainland. This policy was announced in February 2017 and has been phased into effect since early 2018, and has resulted in shipments of recyclables from America and other countries being rejected by China due to contamination. And whether or not recyclables are sent to China, or are processed here in the United States, contamination is a major concern. It is a “dirty” little secret that there is a high percentage of contamination in the recycling stream. What does this mean? Contamination in the recycling stream means that the items which have been separated from the trash as being “recyclable”, and which have been identified as a material which can potentially still be used in place of virgin materials to create new products, are no longer usable and have little to no value because they have been contaminated by other items which should have originally been placed in the waste stream instead of the recycling stream. Contamination is frequently the result of what is called “hopeful recycling” – in other words, items which probably should be thrown in the waste stream are instead thrown in the recycling stream with the “hope” that it will be recycled. Common culprits of “hopeful recycling” which contaminate the recycling stream include pizza boxes (which have been saturated with leftover food grease), disposable coffee cups (which are lined with liquid-proof polyethylene), yogurt cups (which are made from non-recyclable plastics), oily takeout food containers (which still have leftover food and liquids), plastic bags (which clog up recycling machinery), and dirty diapers (apparently people are doing this?). As a matter of fact, the widespread contamination of the recycling stream has resulted in what many are calling a crisis in the US recycling industry. One solution which has been proposed to reduce the high incidence of contamination is standardized labeling on waste and recycling bins. In a press release dated August 28, 2018, the non-profit group Recycle Across America has announced a partnership of several leading manufacturers of waste and recycling bins who have all committed to standardizing the labelling on their bins in an effort to alleviate the potential confusion which is resulting in contamination in the recycling stream. Think about it – what if there were multiple different designs for stop signs, or if the speed limit was communicated in many different formats? There would be mass confusion. With the proliferation of different messages on recycling bins (or in some cases the lack of any sort of message at all), it is understandable that there is a high incidence of contamination. What Is WAXIE Doing To Assist With A Solution? In addition to partnering with several leading bin manufacturers (several of whom are existing WAXIE vendors), Recycle Across America has also partnered with WAXIE to create a website which highlights an offering of these standardized labels which can help to alleviate potential confusion at the bin when disposing of recyclables. 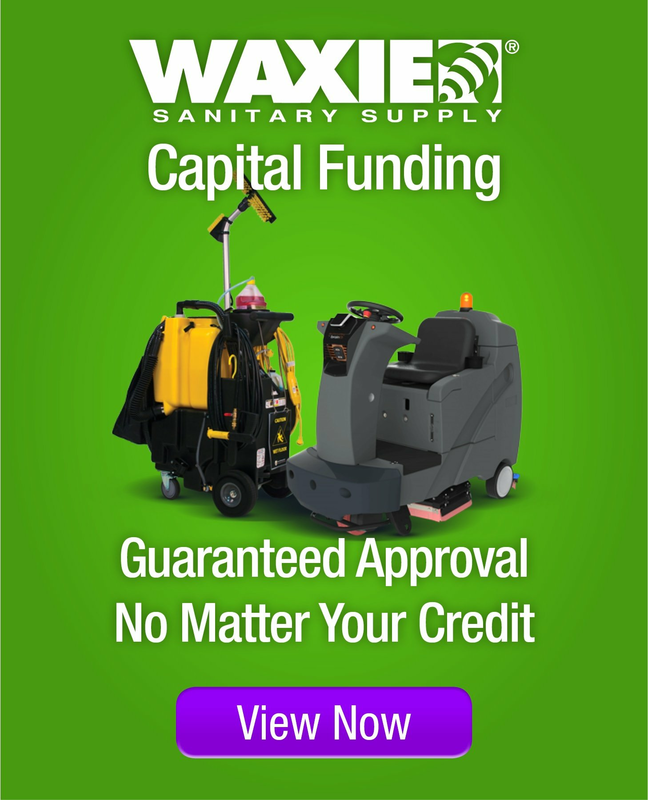 And as a reminder, WAXIE also offers additional resources and guidance on their website, and stands ready to assist facilities who are looking to improve their recycling and waste diversion results.